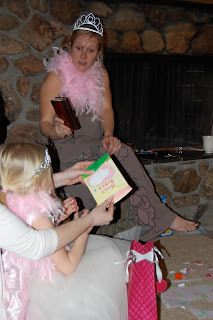 Becca has turned 5 and instead of trying to celebrate in the middle of moving, I decided to throw her a "pampering princess party" one week after we had moved and one week after her actual birthday. I am always looking for party ideas that include our staff and I can pull off at the ranch. My little Becca-Boo is very enamored by her princesses and she's very enamored by our staff girls right now. So, why not combine the two? Our staff girls were in the middle of spring cleaning and working very hard to open up our ranch so why not "pamper these ranch princesses"? 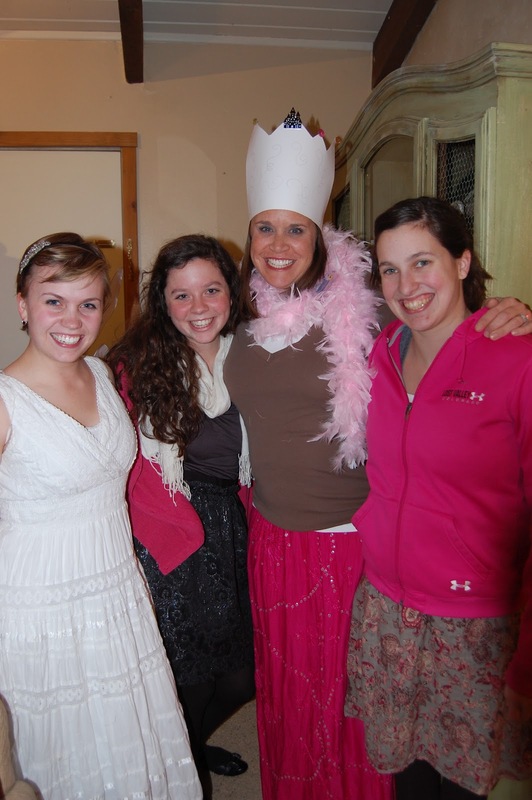 I think Becca was more excited about seeing the staff girls dress up than dressing up herself. 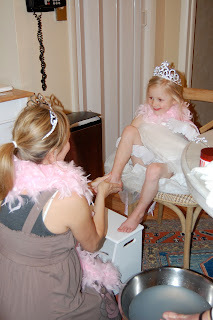 It was so fun to pamper my 5 year old princess and the "Cinderella's" of the ranch. The pictures might give you a glimpse of our new house, but my mom is coming tomorrow and until she has helped me with the finishing touches, I don't want to post the official pictures yet. I can't wait to show you!!!! is so close to Valentine's Day. 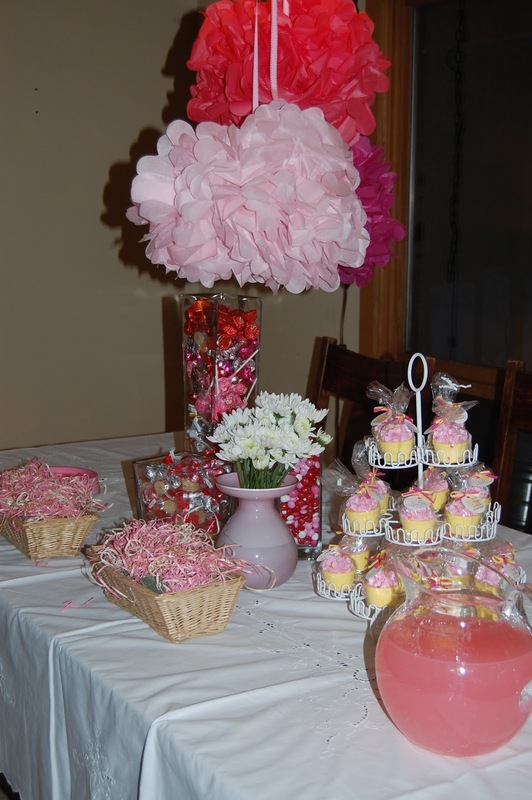 These are the party favors for the girls. Bath fizzies in the shape of a cupcake. The girls made their own Valentine's cards. Couldn't Snow White work at Disney World? More of our "ranch princesses". even though it was girls only. This for me was the most memorable part of the night. Before Becca opened up her Bible, I wanted to make sure my sweet girl and our very special staff girls knew where their beauty should lie. I read out of 1 Peter that tells us, "we should not adorn our outward appearance, but the imperishable qualities of our heart...and this is what is precious in God's sight". It is so fun to be pampered and to be as pretty as a princess, but with all the lies the world is telling these sweet girls, I want my princesses to find confidence in what truly makes them beautiful. Becca opened her gift and was so excited to have a "big girl" Bible. The next day I heard her say softly as she was looking through it, "this is the greatest book I've ever had." I could not be prouder of the young lady she is growing into. Thank you, sweet Becca, for 5 of the best years of my life. And Jack thought he was "the party". So precious brooke! You are the best mama ever! Love that little Becca so much and so gald she had a happy birthday. I was trying to catch glimpses of your new house. post pics!! Miss you! 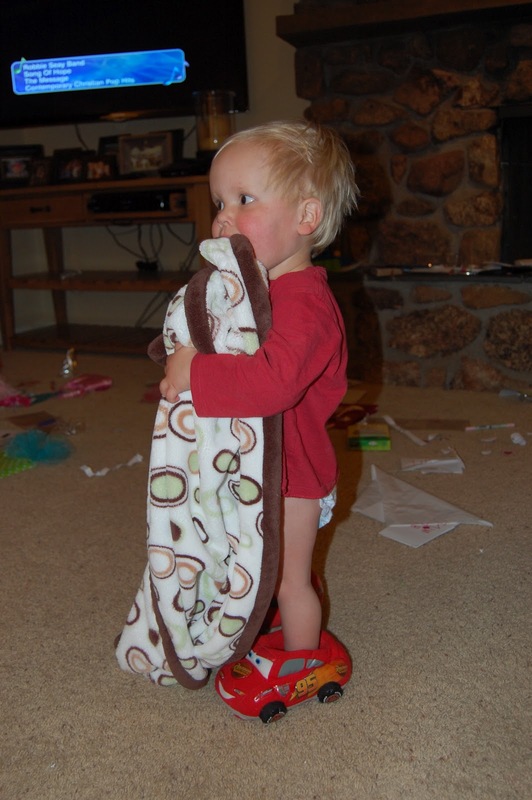 Those car slippers KILL me every time...I can't tell you how honored I am that I get to spend so much time with your precious children. As I tell them every day...my heart gets bigger and bigger when I'm with them! Love you Brooke!